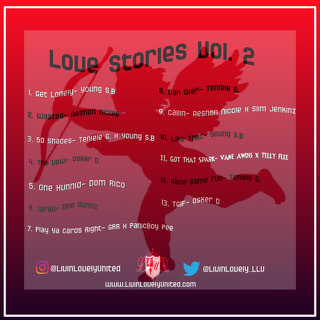 Livin Lovely United, LLC has teamed up with a few artists to release Volume 2 of their Love Stories Mixtape. Love Stories Vol. 1 was released on February 14, 2015. This year, you can find thirteen tracks that bring out just about all the sides you can encounter in a relationship. 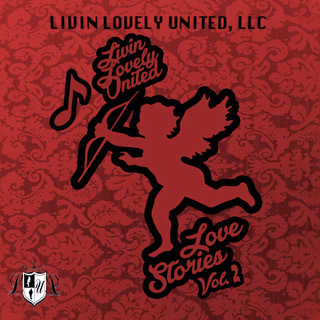 Livin Lovely United's artists, Teniele G., Young S.B, Dee Gunnz, Vane Awdis, and Dom Rico chose to spread some love on Valentine’s Day. Love Stories Vol. 2 mixtape guests are, Aeshon Nicole, Slim Jenkinz, Osker D, GRR, PanicBoy Pee, and Telly Flee. Love Stories is a mix of hip-hop and r&b and is available for download via Spinrilla.